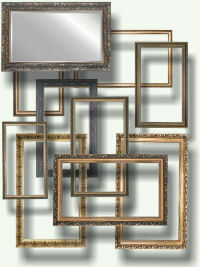 Amethyst Framing is a family-run Picture Framing business established in 1983 by Phill Bruce and wife Carole. Based in Brompton, Gillingham Kent, the company specialises in custom and ready-made framing, and with over 26 years experience in the framing industry, we are proud to say we have hundreds of regular customers many of which have been placing their business with us the full time. We also offer a wide range of canvases, cards, watercolours, limited edition prints, and sundries, available for purchase directly from our showroom. But if you cannot see exactly what you are looking for, we have brochures and catalogues available for you to browse through. We hope you find our website informative and interesting, however if you have a question that needs answering, please remember that some professional advice is only a phone call or email away. We are a genuine, friendly, local business, that has grown year by year, offering a personal service to its customers, with continued good service from dedicated staff. So when you want to make that special memory even more special, if you need a canvas to apply the finishing touch to your home, or a greetings card for that last minute party, Amethyst Framing has it covered! Thank you for visiting Amethyst Framing, and we look forward to seeing you soon! Call us for some friendly advice on 01634 400195, or pop into our showroom at 26 High Street; Brompton; Gillingham; ME75AQ, where we are always happy to help!